In a pot, combine the milk, brown sugar, and granulated sugar. Stir, and bring to a boil( over medium high). Remove the pot from the heat, and add in the vanilla. Stir the ingredients, and let cool for 3 minutes. Stir the mixture, until it starts to thicken. Grease/ Butter a cookie sheet. 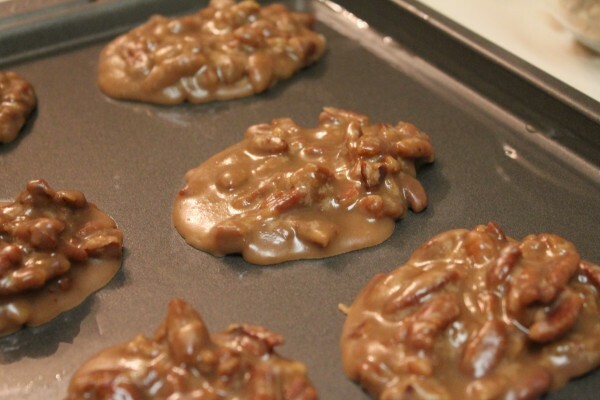 Spoon out the mixture onto the cookie sheet, and let the candy cool and firm. 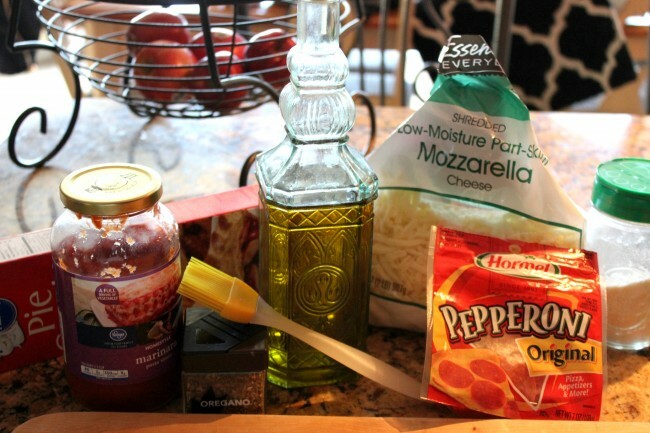 While the pasta is boiling, you can get everything else ready to assemble. Cut up the cheese, olives and pepperoni if needed. When pasta is cooked, drain and rinse with cold water. Mix all of the ingredients together in a large bowl, cover and store in the fridge until ready to serve. 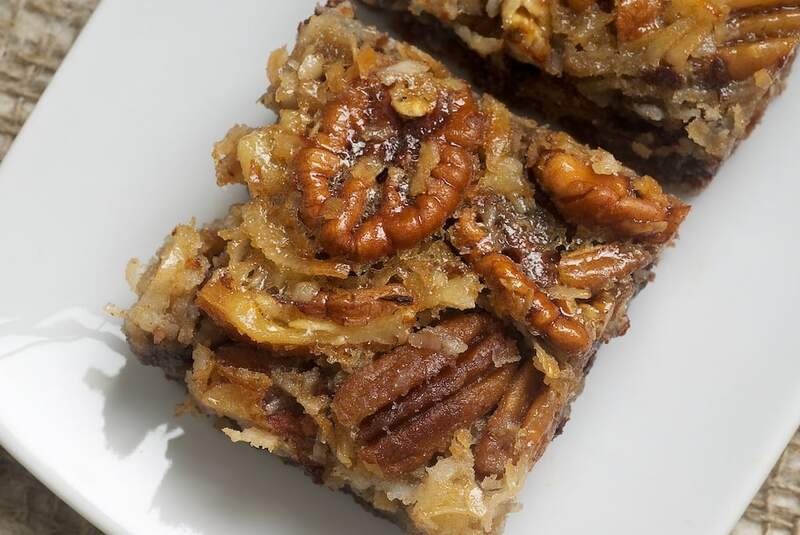 You can serve it immediately if necessary, but is ideal to let it chill for at least a few hours before serving. I like to prepare this the night before so everything has a bit of a chance to marinate. Just make sure to re-stir everything up again right before serving to make sure the dressing is well mixed! In a medium bowl, combine honey, tamari, sesame oil, garlic and sesame seeds. Whisk until combined and set aside. Season cubed chicken with salt and pepper. In a large bowl whisk together the egg whites and cornstarch. Add in the seasoned chicken and toss. In a large 10- to 12 inch nonstick skillet, add 1 tablespoon of coconut oil and heat over medium-high heat. Once hot, add in the diced peppers and sliced onions and cook for 4-5 minutes until slightly softened. Remove to a plate. In the same skillet, heat up the remaining 2 tablespoons of coconut oil over medium-high heat. Add in the chicken and cook for 5-8 minutes until golden and fully cooked. 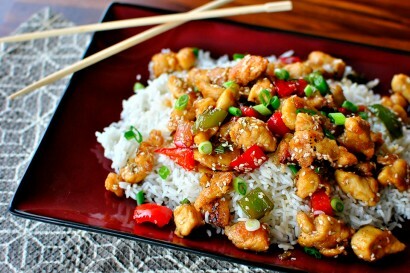 Add the peppers and onions back in along with the sliced green onions and the sesame sauce. Stir and serve over prepared white or brown rice. The deadline approaches, just a few hours a way, are you ready?? 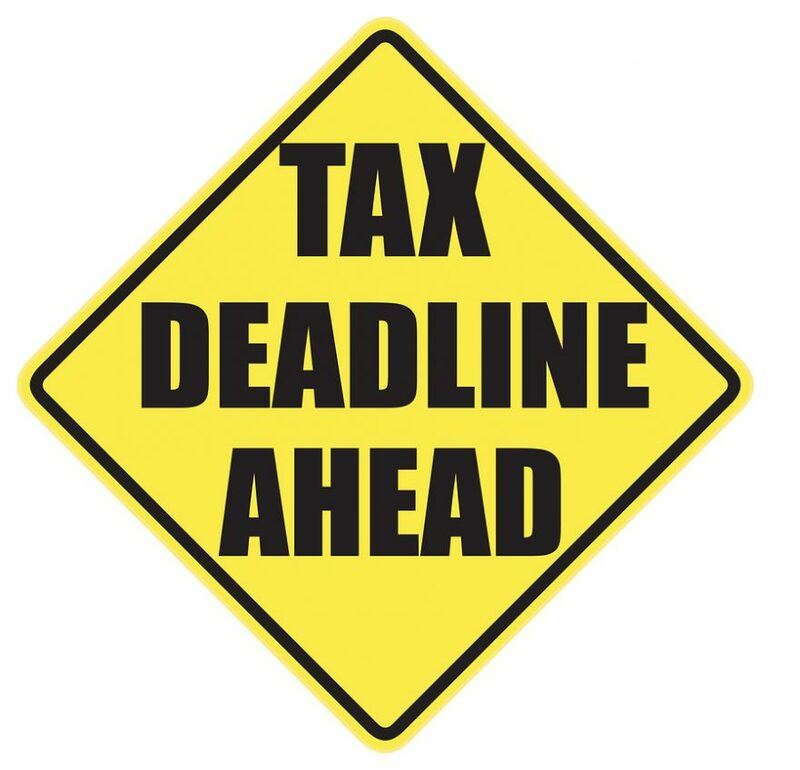 The deadline I speak of is deadline to file your taxes. It occurs each year on April 15th unless the day falls on a weekend or holiday. However, the 15th of April has not always been known as tax day. The 16th amendment created income tax day February 3, 1913. The tax deadline that year would be March 1, 1913 and only taxed incomes above 4,000. Before income tax the federal government would raise money on tariffs on imports and exports as well as taxes on cigarettes and alcohol. Previously there was a national income tax in 1894 that taxed on states population. The tax according to where you lived was deemed unconstitutional and had to be amended. The 16th amendment allowed everyone time to file but very few did. The Revenue Act of 1918 moved the deadline to file to March 15 and imposed a 77% tax on the highest income. During World War I this tax worked out well. However, the Depression lowered incomes and led to individuals not paying taxes. By World War II paying taxes had become a patriotic duty to pay taxes. Irving Berlin wrote songs and the IRS created posters that reminded people to pay. During this time the Treasury Department also began withholding taxes from worker's paychecks and the W-2 was created. It seemed the world of taxes was changed. However, there were more changes to come. In 1954 the deadline for taxes was moved to April 15th. They are ookey and spooky and a bit eery as well. Spiders are one of the most feared of all pests in the home that people want to exterminate. There is reasoning behind the fear of spiders as getting bit by the wrong one could land you in the hospital. However, there have been only 6 reported deaths due to spider bites. Chemicals or pesticides are not very effective against spiders. Simply spraying for spiders will not do a real good job. Spiders have long leg and poor circulatory systems that decrease the chance of spray on the surface ever reaching them. Perhaps the old way of killing insects using a newspaper, shoe or whatever you choose to use as a weapon would improve your chances over the sprays. If you do choose to use sprays select a high area of traffic for the spider. Spray along the cracks in baseboards, along edges of carpet or wood trim around a window. Keeping their food source of other insects helps to reduce the spiders as well. Sticky traps or glue traps also capture spiders. Place them in dark quiet areas where spiders often travel. 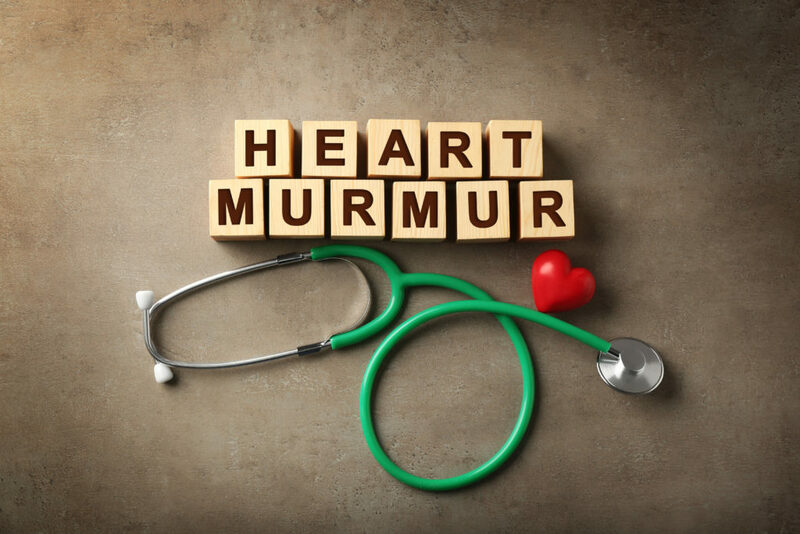 Heart murmurs are They are made by blood circulating through the heart's chambers and valves, or through blood vessels near the heart. Many children will have what is known as an innocent heart murmur sometime during their childhood. They often disappear and may reappear again. While innocent and most likely no cause of concern doctors may order testing to confirm the murmur is innocent. Testing has the ability to prove or disprove that the murmur is innocent. Children with innocent murmurs require no medication and does not have a heart issue. They can live as normal like other children. In addition most children with innocent murmurs disappear as a child reaches adulthood but some adults still have them. Today, April 15th is the date that Leonardo Da Vinci celebrated his birthday. Leonardo was an artist, humanist, scientist, philosopher, inventor and naturalist. Born in 1452 Da Vinci would go down in history among the great players that were part of the Italian Renaissance. However, with so much known about Leonardo da Vinci what do you personally know?? was not required to go to school because he was illegitimate. Spent his days experimenting and exploring and keeping notes of what he learned. In a large Dutch oven, cook the beef, sausage, pepperoni, onion, green pepper and garlic over medium heat until meat is no longer pink; drain. Stir in the salsa, beans, pizza sauce, water, chili powder, oregano, salt and pepper. Bring mixture to a boil. Reduce heat; cover and simmer for 20 minutes or until heated through. 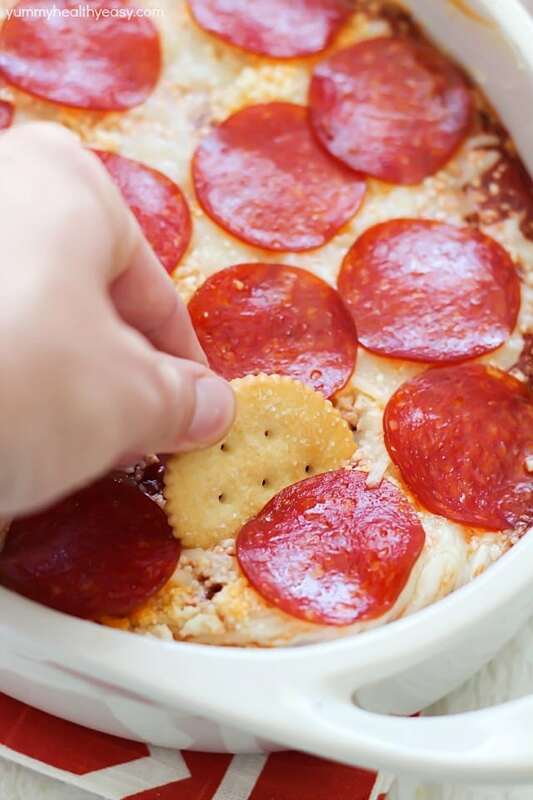 Sprinkle servings with cheese. Are you aware that Palm Sunday was celebrated today?? 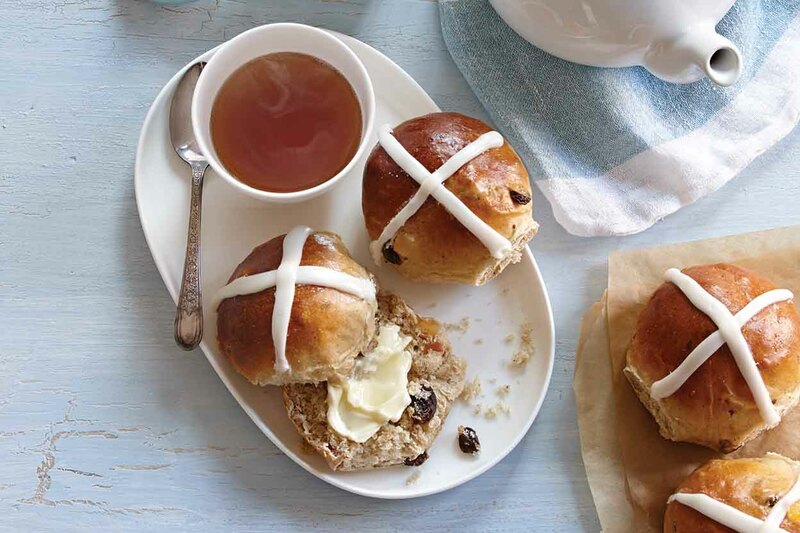 It is a date that may change every year but it always occurs the Sunday before Easter. Palm Sunday is the start of Holy Week that leads up to Easter. Easter is the Resurrection of Jesus Christ. It was the Sunday prior to this event Jesus triumphantly had entered Jerusalem where he had been greeted with crowds of people throwing down palms as he passed. Jesus had rode into the town on a donkey. Jesus was given the royal treatment as large crowd had gathered him laying their cloaks and palms as he passed. There were shouts of "Hosanna to the Son of David! Blessed is he who comes in the name of the Lord! Hosanna in the highest heaven!" It seemed that Jesus had a celebrity like following of those who had heard of Jesus raising Lazarus from the dead. Perhaps, the crowd wanted Jesus to be the king but he had no desire to be the king here on the earth for the plan had all ready been created and now Jesus was to fulfill the promise. .
Today, we celebrated Palm Sunday by going to church and enjoying an Easter cantata tonight. What a beautiful time to celebrate our Jesus and what he did for us. Going by the name of woolflowers, cockscomb flower and "Flaming Feather" the Celosia plant is an annual flower that can bloom for up to ten weeks. This unusual looking flower comes in colors of red, purple and pink. The word 'Celosia' means 'burning' in Greek and was most likely offered to this plant due to their appearance when a large number of these plants are together. Are you an individual with lots of knowledge of trivia and spelling?? Then the game of Scrabble may be for you. Created by Alfred Mosher Butts in 1938 the game of scrabble is a word game that uses letter tiles to create words in an attempt to reach the highest score. 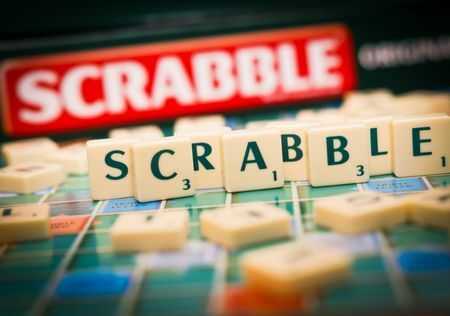 However, the original name of this game was Criss-Crosswords and was renamed by James Brunot who purchased the rights to manufacture the game of scrabble. 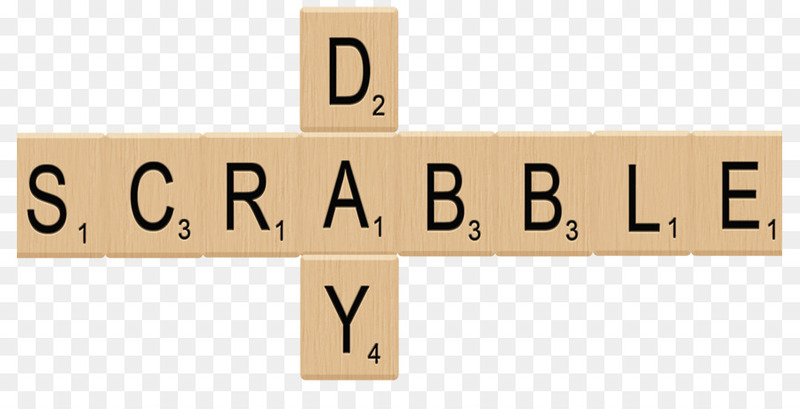 It has been estimated that every hour in a day is the start of an average of 30,000 games of Scrabble. The lineup of tiles that have been created since the beginning of the game lined up in a row would reach over 50,000 miles. Among all the Scrabble players around the world there are celebrities that love the game. These celebrities include Keanu Reeves, Madonna and Sharon Stone. How about you. do you play scrabble?? Thomas Jefferson was born this day 176 years ago. 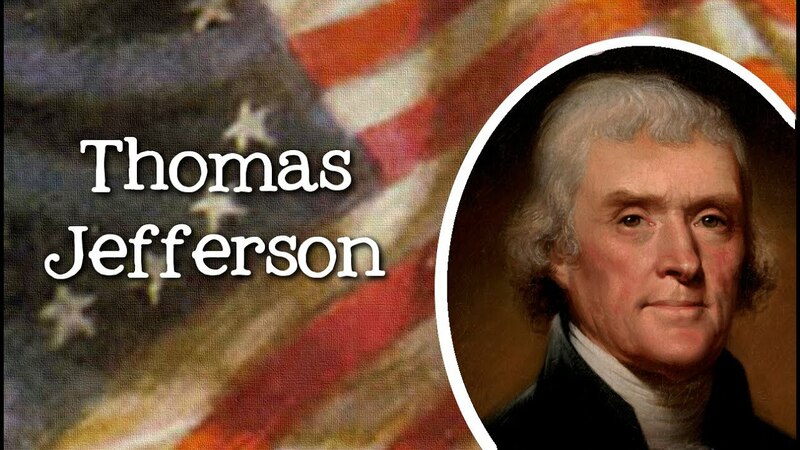 A native son of Virginia who played an important role in the country's quest for independence Thomas Jefferson played many roles including the Minister to France, Secretary of State and also the third President of the United States. In addition, Jefferson was a great writer and a leader in writing, economics, religion, philosophy, horticulture and mathematics. One of the best things about Jefferson is that he could communicate with many. He spoke English, French, Greek, Italian, Latin and Spanish. Thomas Jefferson also enjoyed reading and writing. He has been noted of writing 19,000 letters in his life. Jefferson graduated from the University of William and Mary at the age of 18 and used his education to become an inventor, lawyer and educator. Perhaps you all ready knew about Jefferson education but was you aware that he also was a man of God?? In protest of the British closing the Boston Harbor Jefferson called for a day of prayer and fasting. 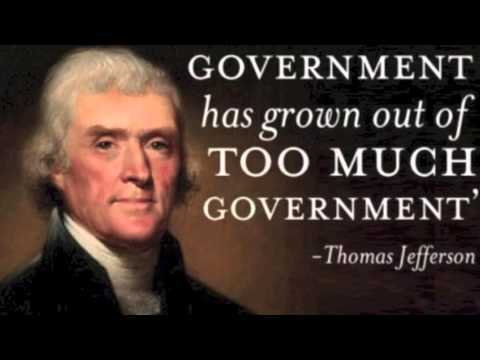 The result of his stand resulted in members of the community coming together to provide opposition against the Intolerable Acts Another remarkable act Thomas Jefferson completed was to pen the Declaration of Independence. Thomas Jefferson had a wife named Martha and six children. Only 2 children, daughters would live to see adulthood. Grandchildren were plentiful numbering 12 some of which lived with him at his home of Monticello. However, home life also had a secret side. 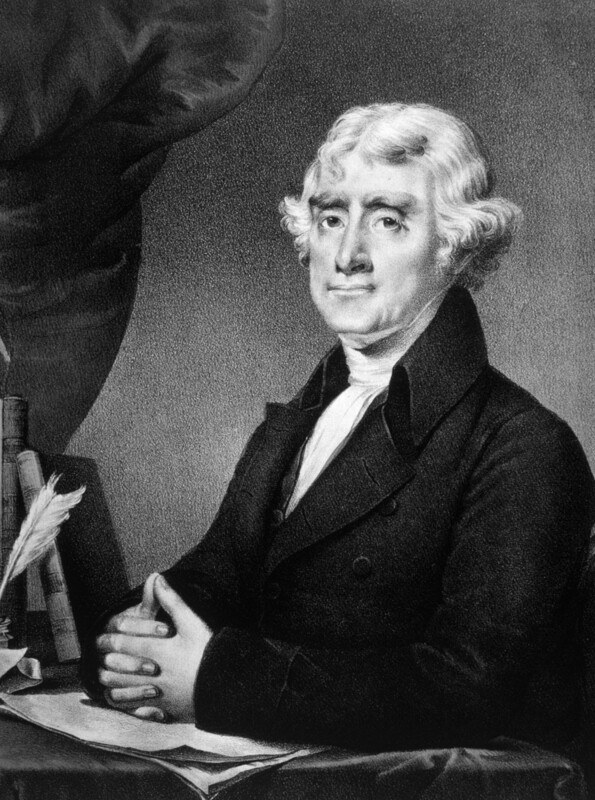 Thomas Jefferson is said to have a relationship with Sally Hemings. As slave that belonged to Jefferson is believed to have filled the space of his past wife. Sally Hemings would be allowed to have freedom after the death of her master. Later DNA test would prove that there were genes in common between the children and grandchildren of both Hemings and Jeffersons. Jefferson is forever, memorialized in the $2 bill, the nickel and on the Mount Rushmore. Make the popcorn: Pour the oil into a deep heavy pot or hand-cranked popcorn maker. Add salt. Place over medium heat for 2 to 3 minutes. The ideal popping temperature is 479°F. When the oil starts to sizzle, drop 2 to 3 kernels into the pot – if they pop right away, add the remaining kernels. Cover, shake, and agitate the pot constantly. 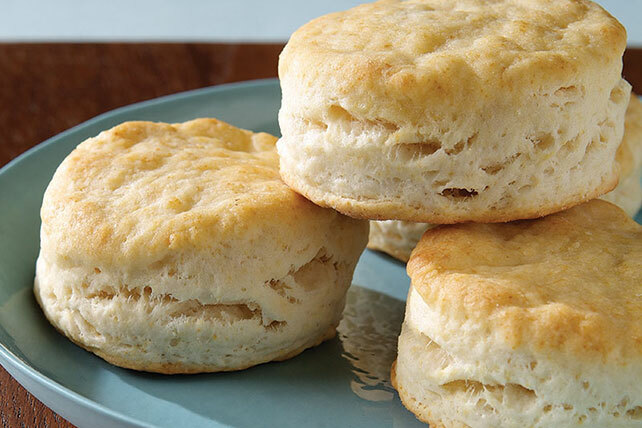 Continue cooking until the popping slows to about 3 to 4 seconds between pops. Pour popcorn into a large bowl and set aside. Preheat oven to 300F. Line baking sheet with foil and set aside. 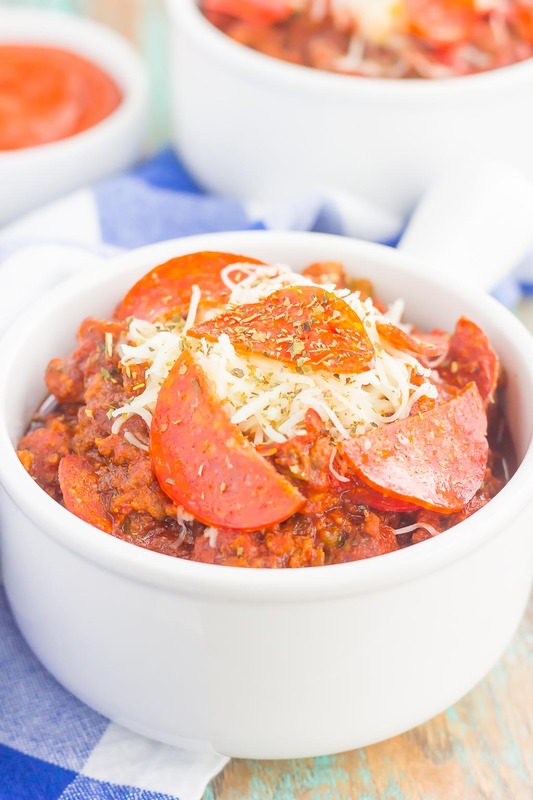 In a bowl, combine the dried oregano, dried basil, red pepper flakes, salt, and sundried tomatoes. Mix well with a spoon. Then, whisk melted butter into the bowl. Slowly and evenly drizzle the butter mixture onto the prepared popcorn. Close the top of the bowl with aluminum foil and shake and toss the closed bowl to coat the popcorn evenly. Spread the coated popcorn evenly over the prepared baking sheet. Bake until popcorn is dry (about 10 mins). Transfer popcorn to a large serving bowl. Sprinkle evenly with grated Parmesan and fresh basil. Seal with aluminum foil again and toss to coat popcorn evenly. 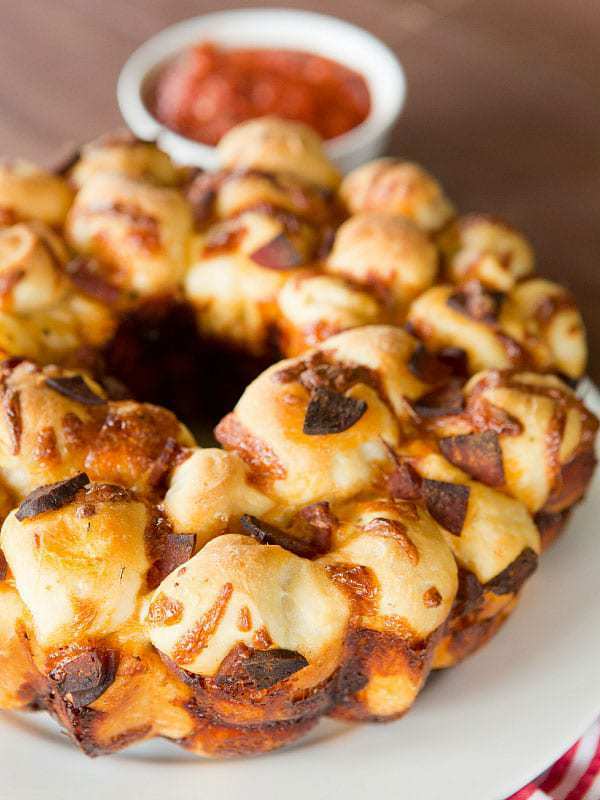 Voila…a pizza party! Prepare 9x13 pan with cooking spray or oil. Place just enough sauce in the bottom of the pan to lightly cover it, about 1/2-3/4 cup. Spread frozen ravioli in pan. 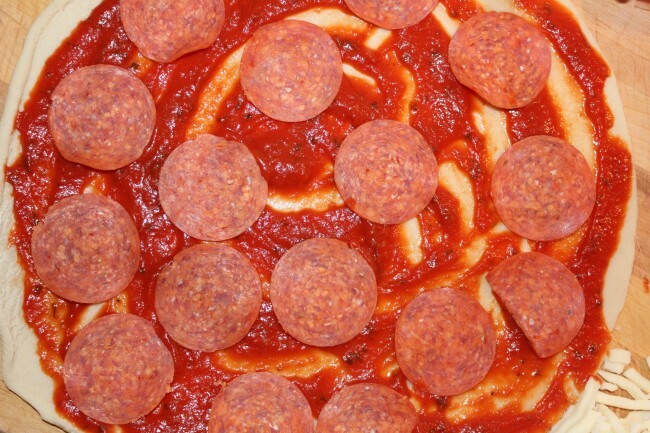 Cover with remaining sauce. 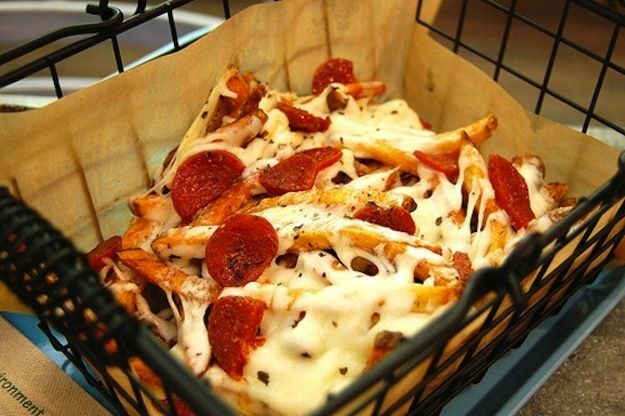 Sprinkle with cheese. Cover with aluminum foil. Bake at 350° for 40 minutes. 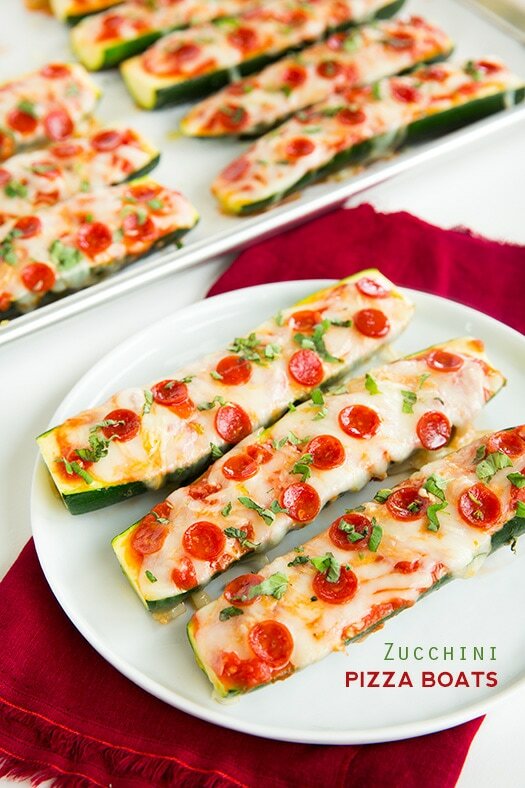 Sprinkle with Parmesan cheese upon serving. 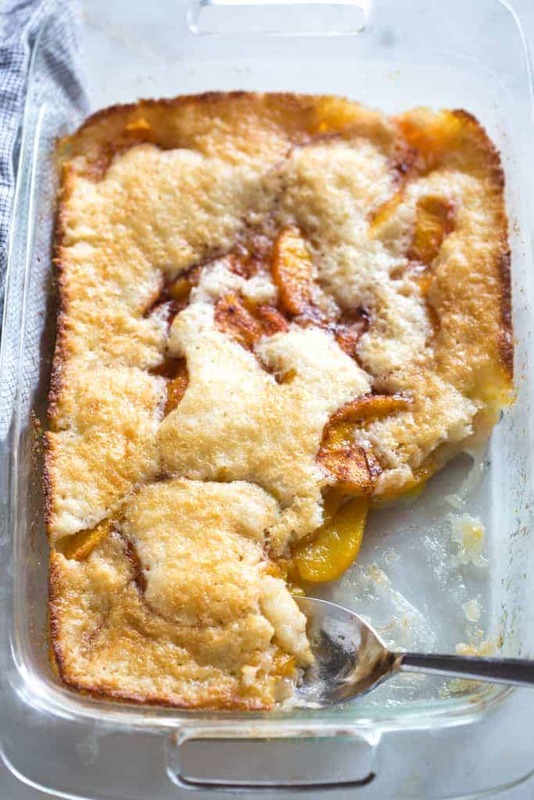 Preheat oven to 350º F. Spray the bottom of a 1½ quart casserole dish with cooking spray; set aside. 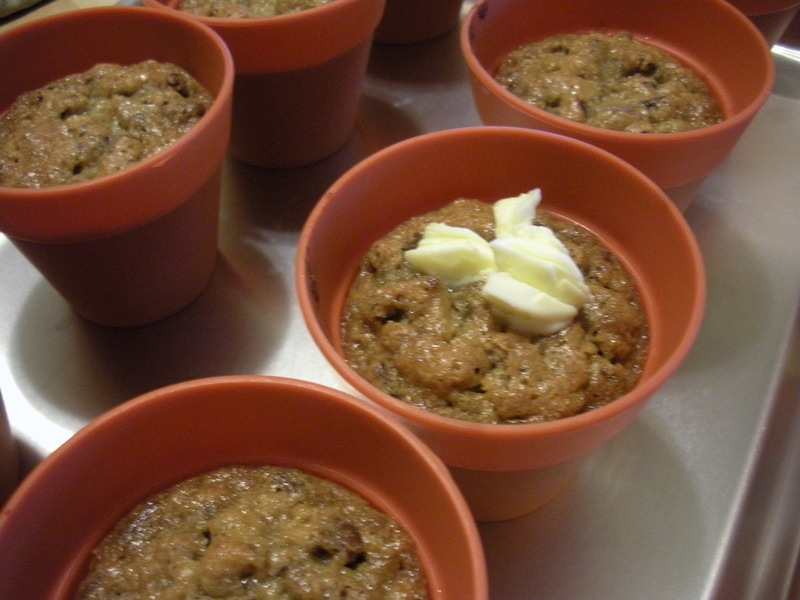 Mix together cream cheese, oregano, parsley and basil in a small bowl. 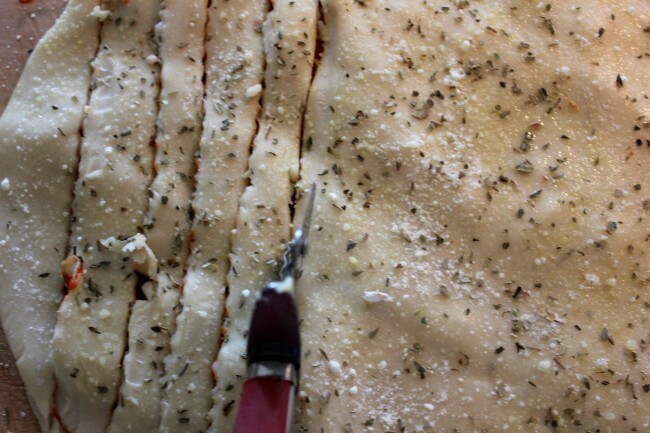 Spread herbed cream cheese on the bottom of prepared dish. 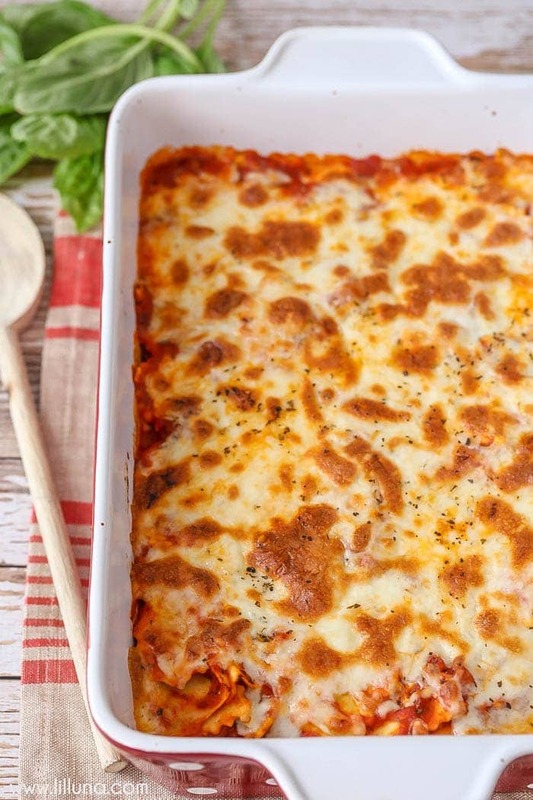 Layer with ½ cup mozzarella cheese and ¼ cup grated parmesan cheese. 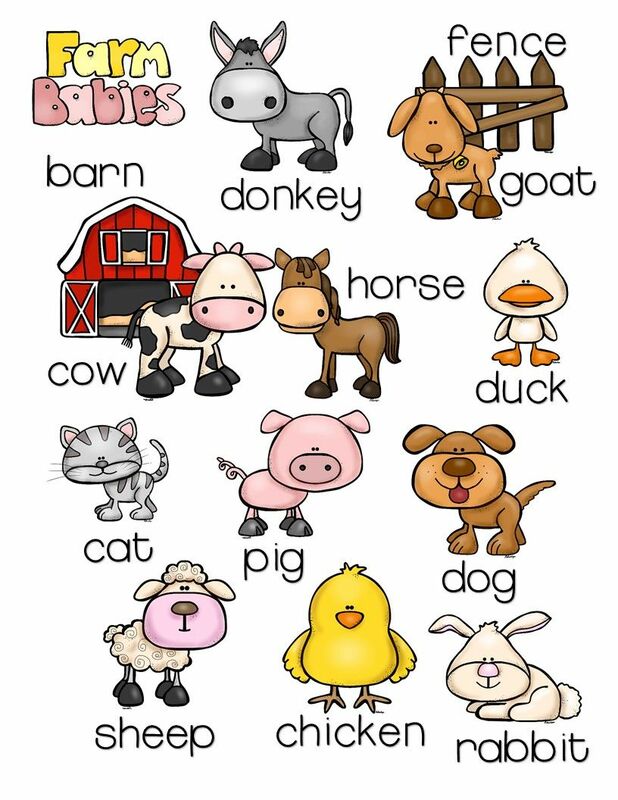 Even the youngest among us most likely knows the tune "Old MacDonald Farm" Do you recall the animals that live on that farm?? 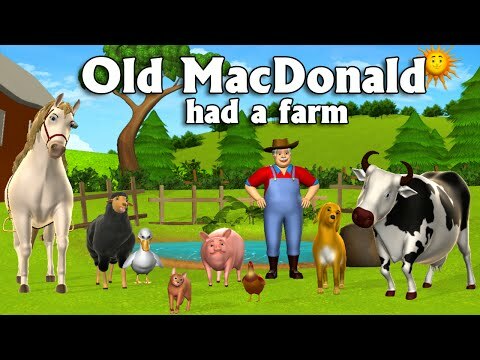 “Old MacDonald had a farm. And on that farm he had a ______. Here a ___, there a ___, everywhere a ___ ___. Professionals in the health care field will come together in the month of April to help bring awareness to a topic that affects all of us, stress. is the result of interactions between environmental factors and life events plus the mental, emotional, and physical burden that they put upon an individual. 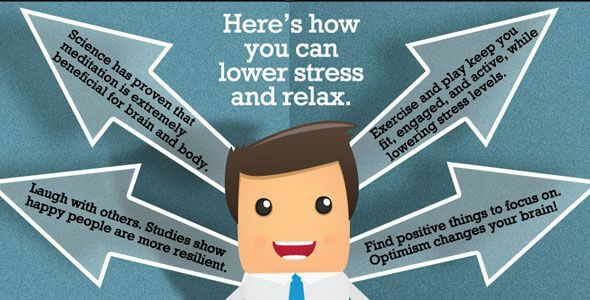 Stress affects everyone but also effects everyone differently. 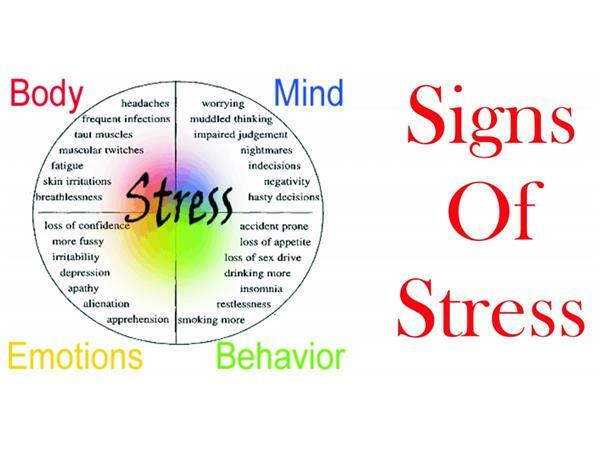 Stress can not only affect the mind but an individuals overall health. Chronic stress may lead to heart disease or stroke. For the sake of one's health it makes it worthy to know what triggers our stress and how to take note of it. Many when under stress will notice an increased heart rate, blood pressure and glucose levels. Every afternoon when my grand-children arrive home from school one of the first things we do is to take out important papers. One of the important papers the other day was a "young author" paper. In the "young author" the kids use their own talents to write books. Adults are not to offer help with planning or writing as it is a time for the kids to shine. Perhaps one of them will grow up to be a great writer. 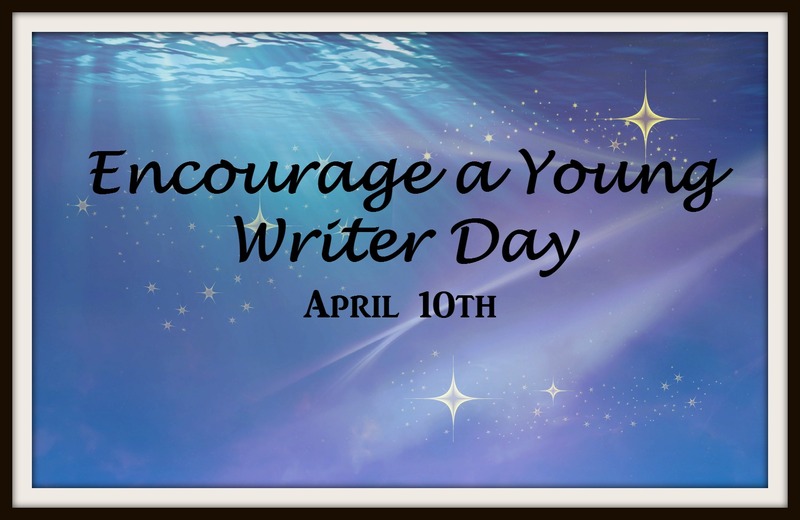 April 10th is a date that is set aside to Encourage Young Writers. Do you have a young person in your own life that enjoys telling stories, reads a lot of books or has a big imagination. These are all signs of greatness when it comes to writing. Perhaps you should take this opportunity to talk to them about their dreams and aspirations. 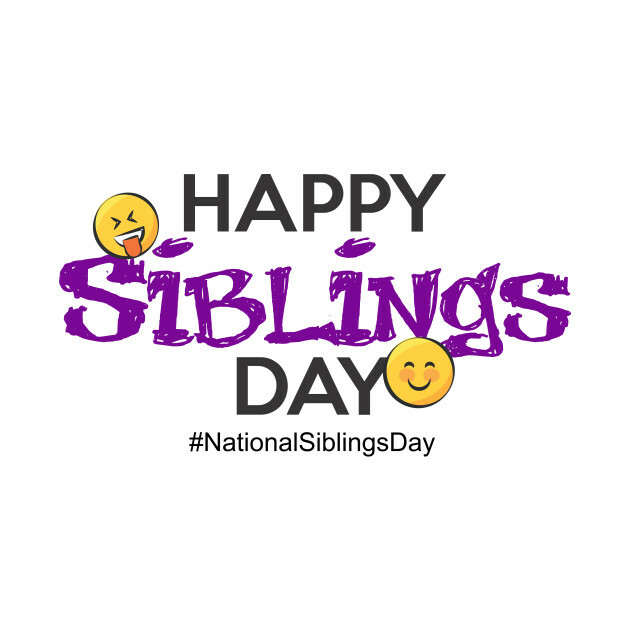 Do you have brothers and sisters?? I was blessed to be born the second child with 2 brothers and sister to come along through out the years of my childhood. Yes, my mama had 5 children. No, really she did but she had a few that did not make it into this beautiful world they passed while my mother was still protecting them inside of her belly or shortly after. Perhaps you have brothers and sisters or perhaps you were like me and a few siblings that you would have had you never met. In a medium saucepan, bring the milk and salt to a simmer over medium heat, stirring occasionally. Turn off the heat. In a mixing bowl, combine the egg yolks, brown sugar, and flour and whisk till well blended. To the egg yolk mixture, slowly spoon in about half the hot milk, whisking constantly to ensure that the mixture doesn’t curdle. Pour the mixture back into the saucepan with the other half of the milk. Continue to whisk until the egg yolk mixture is well incorporated into the milk. Turn the heat back on and cook over medium heat, whisking constantly, until it thickens and comes to a full boil, about 3 minutes. Turn the heat down to low and continue to whisk for another minute. Remove the pan from heat and add the peanut butter and vanilla. Whisk until well blended. The next day, make your crust by mixing the blended Oreo cookies with the butter and pressing it into two small rounded dishes. Prepare the glaze by melting the chocolate in the microwave. 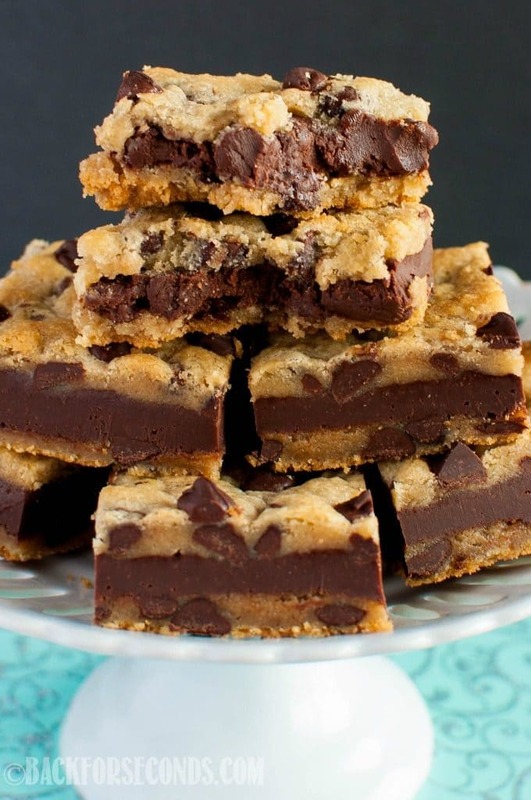 Put the chocolate pieces into a microwave-safe bowl and heat up in 30 second intervals. Stir with a spoon to get a nice smooth chocolate paste (my chocolate was nicely melted after about 1 minute 30 seconds). Add the melted butter to the chocolate and stir until a smooth glaze is formed. Unmould the filling on top of the Oreo crust, and then drizzle (or if you’re like me, pour generously) the chocolate glaze over the filling. You may end up with a little bit more chocolate glaze (perfect for dipping some fruit or cookie in). Set the chocolate-glazed peanut butter pie back in the fridge to harden the chocolate just a little (if it gets too hard, you may have to wait for it to soften a little before digging in so that the peanut butter doesn’t squish out).